HOME - MARCHIANTE ANGELINA & C. - S.A.S. 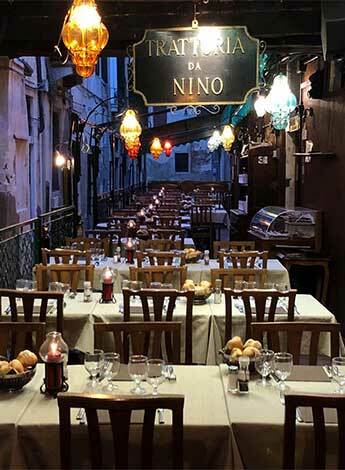 Trattoria da Nino is located in Venice and is the temple of goodness for all those looking for typical Venetian cuisine. 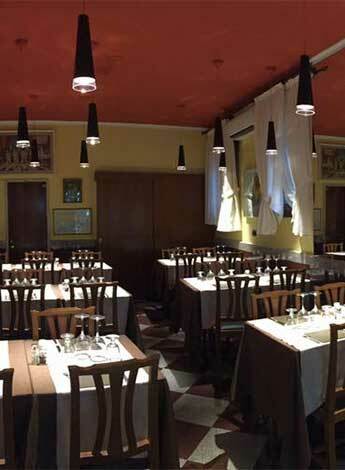 The trattoria is housed in very welcoming premises and the staff, with joy and familiarity, taking care of each client and trying to satisfy every request, allowing customers to spend a wonderful evening. The restaurant opens from 11:30 am until 10:45 pm, closes for weekly rest on Thursdays and from November 15th to February 1st for holidays. In our menu you can find dishes based on fish from the Adriatic Sea, typical Venetian dishes such as sardines in saor, spaghetti alla vedova, bigoli in sauce, or Venetian liver with polenta. We also have gluten-free dishes like pasta, pizza and desserts. Special offers for any groups! For groups, it is possible to request special offers and discounts which make Trattoria da Nino table not only tasty but also convenient. Groups can choose to organize an evening with a la carte or a fixed menu, which can be arranged according to the taste and preferences of customers. Trattoria da Nino is open every day, except Thursday, for lunch and dinner. Reservation is possible and advisable, especially for large groups. Choose the taste, come and eat the typical Venetian recipes of Trattoria da Nino. 10% discount for bookings made from the site or by presenting a print of it! organized groups, for which there are special offers. 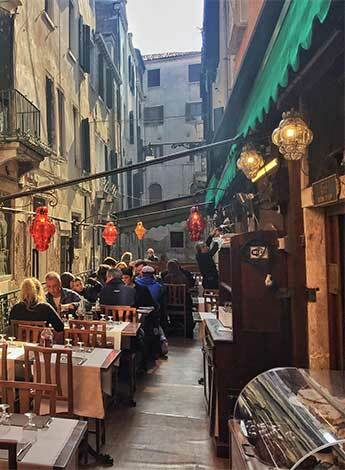 Located in Campo S.Provolo, a stone's throw from Piazza San Marco, between Campo S. Zaccaria and Riva degli Schiavoni. In our menu you can find dishes based on fish from the Adriatic Sea, typical Venetian dishes such as sardines in saor, spaghetti alla vedova, bigoli in sauce, or Venetian liver with polenta.